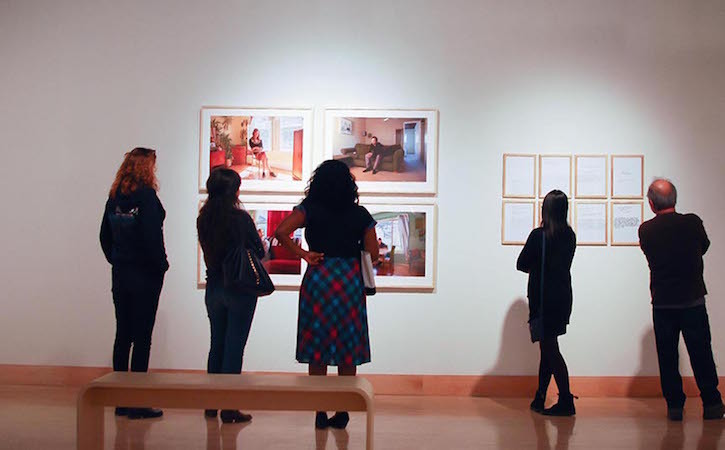 The Fine Arts Gallery presents both professional and student-oriented exhibitions every semester. Professional exhibitions are organized to spotlight the range and diversity of both contemporary and historical art. The School of Art's Master of Fine Arts Thesis Exhibition runs from April 20 to May 11, 2019. Featuring the work of Lizzy Blasingame, Shirin Khalatbari, Daniel Southard and Hannah Tuck.